What is the CLiQQ Rewards Card / Every Day! Rewards Card? The CLiQQ Rewards Card / Every Day! Rewards Card is the physical card that contains the cardholder’s card number. This card shall be presented to the cashier with every purchase to earn points. 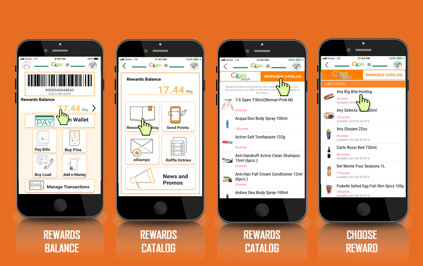 We recommend that you download the CLiQQ app which also provide you with a Rewards barcode conveniently in your mobile phone. You may add up to 5 CLiQQ Rewards Card / Every Day! Rewards cards to your CLiQQ app. How can I get a CLiQQ Rewards card? You can get a CLiQQ Rewards for Php10 at any 7-Eleven store nationwide. However, we recommend that you download our CLiQQ app or find us on Messenger which will also provide you with a Rewards barcode! How can I activate my CliQQ Rewards card? To activate your card number, just text REG CARDNUMBER/LASTNAME/FIRSTNAME to 09189090711 and wait for a confirmation. Once signed in, just click on the Profile Icon on the upper left corner of the Home screen and click on Cards at the bottom of the page to display a list of all the Reward cards linked to your account. Enter the card number you want to add then click on the UPDATE icon. Make sure that the card is not registered to any other mobile number. How can I check my reward balances? You can check your reward balances at the home screen of your app. Click on Manage Transactions. Then at the Transaction history screen, you will see 3 Tabs, Points for CLiQQ Rewards, CLiQQ PAY for the wallet transactions and 7-Connect for the transactions related to Bills Payments, Buy Load and Pins and Add eMoney transactions. Click on each of the transactions to check the details. Where can I redeem my points for rewards? I have redeemed a reward from the catalog, how can I claim it? Is there a way to check previous transactions I have made? Yes! 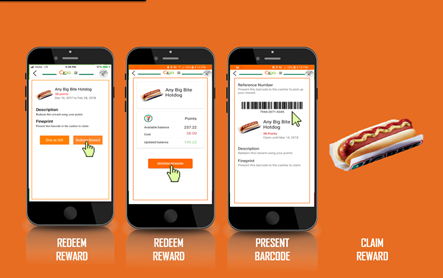 Rewards History can now be viewed using your app. Just click on Manage Transactions at the bottom of the app Home page. Under the Points tab, all transactions made and points earned, are recorded on this screen. Where to find existing promos? On the app homepage, click on your points, tap the ‘Rewards Catalog’ button then click on ‘News and Promos’. Click any of the news to views its complete details. Where to put the promo code for < existing promo >? You can put the promo code on the app homepage. Click on your points, tap the ‘Rewards Catalog’ button then click the “Rewards Catalog” on the upper right to find the current promo where the code is applicable. Why didn’t I receive a promo code? There are promotions that maybe available for selected users only based on their profile and CliQQ activities. Continue using your CliQQ app and Everyday rewards card to earn more points. Please also watch out for other upcoming promotions.